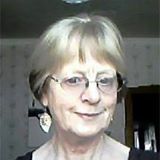 The following guest blog was written by counseling and educational psychologist Clare Pierson (http://www.hesed.net.nz/) who lives in Mawhera Greymouth, Aotearoa New Zealand. Welcome, Clare! The writings of one Jesuit — the mystic, scientist, and theologian who set alight the spark first enkindled in me by my childhood immersion in the bushes, the flowers, fish, birds and animals, the creeks, rivers, lakes and ocean of my home on the West Coast of the South Island of Aotearoa New Zealand — provide the foundation for my responses. The radiant warmth of his face and the way in which his writings gave words to my felt experiences of the Divine have influenced my thinking and life for over 50 years. Pierre Teilhard de Chardin, born 1 May 1881 in Sarcenat, France, died on Easter Sunday, 10 April 1955. Just three years before, as a teenager, I was inspired and filled with relief by what he wrote in Le Milieu Divin. Concerns about the environment had not reached the prominence then that have developed since his death, but what he wrote provides a sound basis for caring for our Earth and all beings in her. In the beginning was the Power, intelligent, loving, energising. and moulding whatever might come into being in the world of matter. In the beginning there was not coldness and darkness: there was the Fire! Which patiently, surely eliminates our darkness. Trinity, Love (1 John 4), a perichoresis, a dance of Beings in love, a Communion or Community of love before time and space erupted into being. Love by nature gives, love flows out beyond the self and brings new life – there was the great flaring forth of Love from this Community of Love that began the ongoing creation of all that is. All energy in the universe is the love of the Source of all Being poured out and manifested as matter and energy/spirit/mind. The universe spoken by the Word Incarnate, began to develop 13.7 billion years ago and continues to be expressed in ongoing evolution. All communions, past present and to come, are one communion. Every being in the universe, from the smallest particle to the most intelligent human, has a “within” (subjectivity, interiority – spirit, autopoesis, type of sentience or consciousness) and a “without” (outside – matter). Spirit and matter are but different manifestations of the same thing and one can change into the other. According to Teilhard, from the very beginning there was the potential for life, for the development of increasing consciousness, and a trajectory in the unfolding of the universe, of Earth, being drawn forward from the future by the Christ, the Omega. If there were not, there would be no life, no consciousness and no trajectory now. Every being, everything in our environment, is sacred, worthy of respect and nothing is profane in Earth. For the Christian believer, the universal consecration, the universal communion concentrates all effort and work on earth, all suffering on earth, in a convergence upon God and the reality of Jesus the Christ, Omega. Teilhard wrote that the most compelling and profound way of describing the evolution and trajectory of the universe would be to trace the evolution of love from the flaring forth of Love at the beginning of time and space to a unity of all beings drawn by Love from the future by Christ Omega into one Community of Love in Christ – in God. All beings, not just human beings, are One and are sacred. Seek each other so that the world may come into being. So who am I and where am standing this World Environment Day? I am a sacred being brought forth from Earth by Earth with an interiority and a body — spirit and matter — one whole, unique being caught up in a web of being, of life that is totally interconnected in relationship. I stand on and in earth as a being who owes my existence to all the evolutionary processes and who was brought forth by all the beings who came before me. I am part of the ecosystems of this land, dependent on the ecological sustainability of my environment, of all beings in it and of Earth as a whole. – that is able to make free choices that can affect — for good or ill — every other being in the universe. What is my unique task? – to deepen contemplative oneness with Love in all that is. Each day I need to become more attuned to the numinosity, the radiance of everything around me, to “see” in the essential way as described by Teilhard, and at the same time to seek out knowledge, to be mindful of being one with what Teilhard calls the noosphere, the “envelope of human thought around Earth,” to ensure that I am ever open to responding to where the Christ Omega is drawing me forward from the future. Of all that the world loves, pursues and suffers. God who is Love, may I, may we, filled with your gifted fire of Love, Light, and Life, follow in the same footsteps as Teilhard, drawn by Christ Omega, as we live in life enhancing ways for all beings, all Earth, the whole universe. Amen. ← Who Are We (Becoming)? Did you know that Teilhard’s grave is in the old NY Province Novitiate’s cemetery in Hyde Park NY? The building now houses a famous cooking school. I have visited the grave. Thanks for letting readers know that, Michael. I’ve missed the experience of being there, but happy you’ve had it. Wish more could have been there for the burial! Michael, in 2010, when i was on sabbatical, I visited the grave of Pierre Teilhard de Chardin at the CIA (culinary Institute of America), which, as you say was once the Jesuit Novitiate, in Poughkeepsie, New York. His was the only grave adorned with growing flowers – at the time poeni roses – and with stones placed on the top of the headstone. It was a very special and precious time for me. The Sister who was to have taken me there died the night before. I have read the works of Fr. Thomas Berry, a Passionate priest -Dream of the Earth and The Great Work – which were inspired by Teilhard’s work. They bring the theories to us who are less cosmologically litterate in a more understandable way. Life on Earth is changed utterly wwhen we realize our true place in the Universe. Is World Environment Day an international celebration? Two things, Patrick — You’ll find a lot from and about Thomas in past blogs. I am among the many who are deeply indebted to him for furthering Teilhard’s contributions. And, yes, World Environment Day was started by the United Nations Environment Program (UNEP) to call international attention to the needs of our planet. Thanks for commenting! Yes, Patrick, this day was started by the United Nations Environment Programme (UNEP). I suspect it’s better known in other countries . . . .
Great site you have Terri! You may know that Teilhard was not very much in favour with the church hierarchy because of his teachings, and that when he died and was buried in Hyde Park there were only two people at his burial. He will come into his own with Pope Francis’ encyclical. That was in 1955. The fifties were the dark ages. Remember that Vatican 2 was 1962-66. Kia ora all! I have been trying to click “Like” after your comments, but the site will not let me do that! I registered with Word Press as is required to do so and it still does not work! So “Like”! for all your comments! Clare. Thank you, Clare for writing, and Terri for posting. So deep and wide, and a beautiful invitation to honor and respect our Mother Earth. When I reflect on the Christ in the Universe I am always drawn to wonder what diverse forms of life exist and what supports it, not requiring that it resembles our life-forms and what we need to be sustained. Our Christ took on our humanity, because our ancestors had lost the way? because we needed to learn to live aright with all that is? Imagine other life-forms that lived the Divine harmony / community. Or imagine some that didn’t and ponder,are there more Christs? more than a trinity? Will World Environment Day become Universe Environment Day? Thanks, France, for your enriching thoughts to ponder! Keep them coming!